The “multi locations” feature of Temps Plus (version 4 and above) allows you to easily manage multiple sites using a single database. Previously, multiple company codes (databases) were required to manage individual location job orders, applicants, customers, and reports. This approach eliminates the need to “combine” databases to get combined reporting and still provides the ability to maintain location information separately. on the screen (for applicants, customers, or orders). 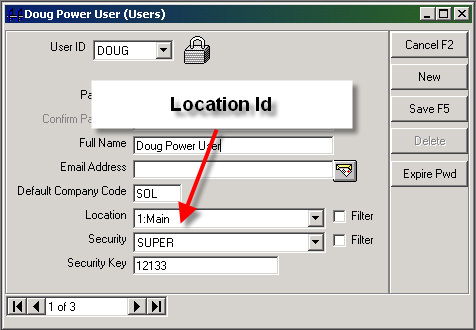 Users are assigned a home location using the security options in the SuperJKM module. Accordingly, if a user has a home location of 1, then any applicants, customers, or orders created by that user will carry the location as well. Users may also be set to allow the viewing of all other location information. 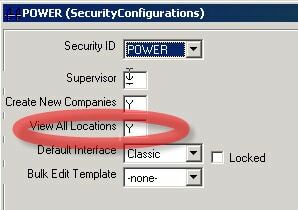 Users (with the appropriate security options set to do so) may change locations and/or view all locations. This would be a temporary change until the location options are changed, or the user exits and reenters the system. button to select which locations to include on the report. If the user is set to view all locations, by default the report(s) will reflect all locations without making selections in this window. 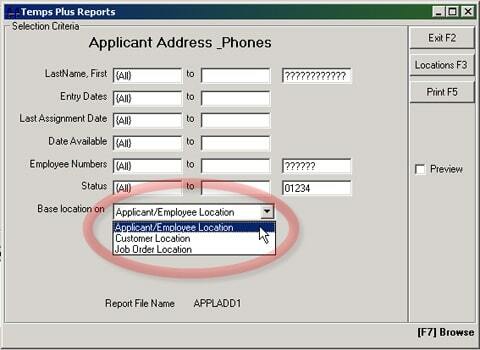 When appropriate, you may choose to base the report with the location based on the Applicant/Employee, Customer, or Job Order Location. User can see and perform operations for only the location(s) that they are set to at the time. 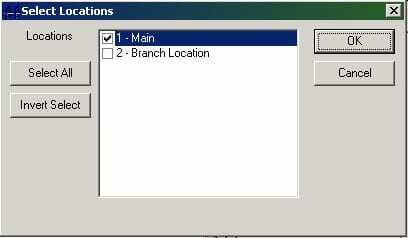 For instance, a user set to location 1 will not normally see the data entered by a user set to location 2 – unless the user is set to “View All Locations”. This allows each location to work with only their own applicants, customers and orders – as well as time card entries, checks and invoices. 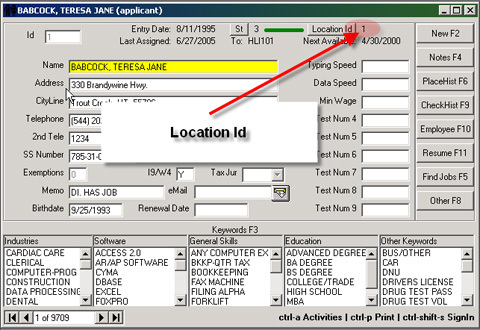 Closing payroll or printed invoices to history will only affect transactions for the location the user is currently set to. For example, users could enter their own time cards, print checks and invoices using only the data entered while in the location they are currently using. Or, by changing the location or viewing all locations, work with only the data from other location(s).